What Did The Critics Think Of American Son? 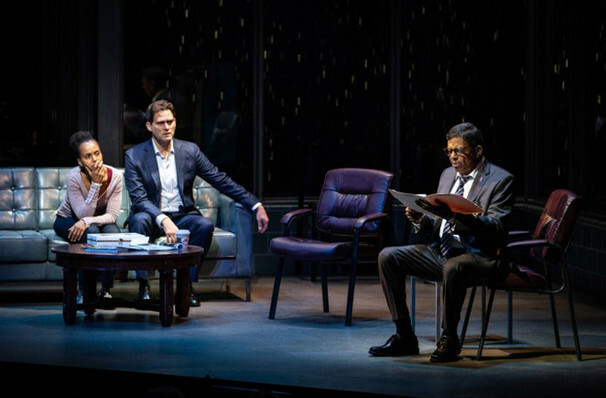 Scandal's Kerry Washington and stage and TV favorite Steven Pasquale star in the Kenny Lonergan helmed production of Christopher Demos-Brown's American Son. Opening last night at the Booth Theater on Broadway, what did the critics think? The New York Time were full of praise for the production, especially of the work of director Leon's saying, 'This is the director Kenny Leon's best work to date: incisive and breakneck'. Entertainment Weekly called the play 'A thoughtful, tension-filled 90 minutes. It is a play about race, yes, and about assumptions we make about people. It is also a play about misunderstandings, inadvertent and willful, inconsequential and potentially fatal'. What is American Son about? Eighteen-year-old Jamal is missing and his mother Kendra is frantic with worry. She's sitting in the waiting room of a Miami police station, waiting for news, as well as the arrival of her estranged husband Scott. The police assure her they're doing everything they can (despite the evident under-staffing), but Kendra begins to suspect there's something more sinister going on. American Son is now playing at the Booth Theater through to January 27. View our show pages for more information about American Son, Booth Theater.